As you begin using the Missionary in Training program, you will want to start with six different lessons to help lay the foundation for the program. And it will be best not to share details of these lessons, the “Call Opening Gathering” or other program elements with your children until after the “Call Opening Gathering”. It will be more effective if the children do not know ahead of the Call Gathering what is going to happen. Older children can be invited to present some of these lessons – but don’t give them a vision of the whole big picture. After these lessons, there will be a “Call Opening Gathering”. This is where all children and parents will receive a “Call to Prepare”. The event should be a real big deal as it will help to generate enthusiasm and momentum for your future home and family Missionary in Training program. More detailed information on this gathering is included elsewhere in this MIT package. Kick-Off Lesson #2: The Introduction lesson will take two weeks so for this lesson you will want to continue what you started until the lesson and material has been fully taught. Following these introductory lessons, you will be ready to start the Missionary Study Sessions on a weekly basis. This is a special conference or gathering held to jump-start your Home and Family Missionary Training Center program. This is a gathering staged to get everyone enthused and excited about participating in the Missionary Training program. Grandparents, home teachers, Bishops, teachers and others may be invited to your gathering. Make this gathering a special one – with special food, and a unique missionary setting or atmosphere. All participants should be dressed in missionary attire. At the gathering, all participants – including Parents, teen Ammonite trainers, and all missionary training participants receive “calls” to “prepare for missionary service”. This gathering will set the stage for an effective and exciting long-term missionary preparation program in your home. It should be a very fun and exciting program to be enjoyed by all participants. This gathering is similar to the Mission Call Opening Gathering but is to be held in subsequent times – like a year after you initiate the Missionary in Training program. This is a time to recharge batteries of all program participants. 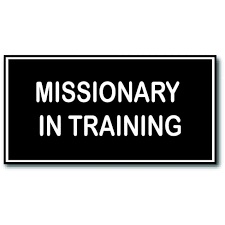 It is a time to recommit to using the Missionary in Training program. Certificates can be awarded for participation during the past year. New “calls” can be issued to new participants in the Missionary in Training program (like when young children become old enough to be involved). Children who turn twelve can be “promoted” to be Ammonite trainers – and can be recognized appropriately with new “calls”. This gathering can be held any time that the family deems it appropriate or beneficial. There is no set time for it. These are the weekly missionary training meetings – formerly AKA – also known as “Family Home Evening”. Most of the study sessions use “Preach My Gospel” as their main source and are referenced on the planning guide for each session. There are some additional lessons that do not use “Preach My Gospel” as the reference. These study sessions from “Preach My Gospel” use materials that missionaries use to teach to their investigators. There are also study sessions on other reference material in “Preach My Gospel”. In addition to the “Preach My Gospel” study sessions, there are other study sessions on a variety of subjects that will introduce the children to the missionary life and aid in their preparation. Some of these will introduce at your Monday gathering what you will explore in greater detail on a Missionary Preparation Activity day – probably to be held on the Saturday of the same week. It is recommended that you plan the study sessions two weeks in advance – so that you don’t have last minute lessons that you have to come up with. You should have a weekly planning meeting – and it doesn’t have to be a long meeting – to plan upcoming lessons or study sessions. These could be held right after your study sessions – or on a separate day. So, for this week, for example, you would review the lesson plan for next week. And you would do the initial and more detailed planning for the week after that. If you follow this plan, you will be able to relax and enjoy the lessons and you won’t be pressured to come up with lesson material. If you have Aaronic Priesthood or Young Women age youth, it is highly recommended that you use them almost weekly to give the lessons. Let them be a part of the planning process with you – or even on their own. Let them be responsible each week for the scripture reading in preparation for the lesson. They can “study by subject” through the week and make note of key scriptures that they want to share with the family. They could also research the subject on the Church websites to find material from current Apostles and Prophets and other leaders that supports the ideas of the lesson. Each lesson planning sheet is the same format. Routine is good. But, you can have the flexibility to change things if you decide to do so. But you will find that having a set plan to follow will greatly help you in your lesson planning. Most lessons will begin with an introduction designed to be given by even the youngest of children. A parent, Ammonite or other sibling can work with the child to memorize the sentence for the picture that they will hold up. Each lesson calls for a picture. Some of the pictures can be found in “Preach My Gospel” in small pictures. You could also find some of them on-line. Use photos from your own family if applicable. There does not need to be a great amount of discussion after the child shares his picture – but there can be. Let the child ask his/her question and then have the other family members respond to it. Then an older person can introduce the main idea for the lesson that evening. The lesson plans will work the best if a number of people participate each week. If you have multiple children, give each of them a part on the program. If you have one or two, give them whatever assignment – or multiple assignments they can handle – and parents can take the rest of the plan. You may find that some lessons will take a couple of weeks to cover the material. You could bump into a second week – or just cover what you can in one week and come back to that subject for the rest of the material in a few months or next year. There are a multitude of study sessions. You will find that there are more than enough to last an entire year – even giving a lesson every week. Pick and choose which lessons you will use and when they will be given. They can be given at any time – though they appear in the book/program materials in the order that they appear in “Preach My Gospel”. Those that don’t use “Preach My Gospel” can be inserted into the plan whenever you want to use them. And with so many lesson subjects, you can go for a very long period of time before you give them all a single time. But, if you do make it through them all, simply start over. The children will be a year older the next time – and their circumstances will have changed. Repetition is a very good teacher. Don’t worry about using the same lesson over again. And some subjects are covered multiple times in “Preach My Gospel” so are repeated again as separate lesson topics. And remember too, and remind the children that missionaries will use “Preach My Gospel” through the whole duration of their missions and they will go through the book many times as a missionary. If they become familiar with the book now, they will be able to recall your home and family MTC lessons and will be able to share personal experiences “in the very hour” as they need to draw upon what you have taught them. It is best to plan for the entire year and assign lesson numbers to each week of the year. But, what happens if you suddenly have a family, school or other activity that pre-empts your calendar plan. No worries … You can slide the whole calendar to accommodate the lesson next week – or just drop it and put it back on the calendar for next year. And if you just get bogged down and need a break, go ahead and take it. It is your program and you can be flexible when you need to be. Each lesson also calls for testimony bearing by each family member. As a general rule in the Church, we do not do enough testimony bearing. And having very little children get up in Sacrament meeting can prove to be a bit obnoxious. Our Church leaders are frequently saying that children should be taught to bear their testimonies at home. Also, missionaries need to bear their testimonies very frequently – often several times within a single discussion with those they teach. So, for this reason, testimony is built into every weekly MIT program. The program uses testimony every week in an effort to get the children (and even adults) used to testimony bearing so that they will be comfortable with the process and it will come across naturally. At first, as you introduce the weekly testimony period, it will be rather uncomfortable for some family members. They will hesitate to bear their testimony. But, keep encouraging them and very soon they will be very comfortable and willing to share their testimonies frequently. You will be amazed at the results that you will see – and the missionary will later thank you and thank you again for the training that you gave to them. Also, the lessons invite the family members to bear testimony of specific principles as taught that evening. Teach the children that they don’t have to always say the same three or four things, “I know the church is true … I love my family, etc”. Help them to learn to bear testimony – as prompted in the lesson planning guides – to share testimony of specific principles – and not everything that they know – all at once. If they bear testimony of the single principle, they will soon be amazed at how their testimony is growing and they will have a conviction of much more than they ever thought possible. Children and all family members can then share a personal experience or a spiritual experience with or for that principle. It might be as simple as saying, “I read in a scripture last week about this and I felt that it is true …” The “And this is why … “ might be sharing feelings of the mind or heart. “I prayed about this and received a warm feeling in my heart …” etc. Simple testimonies are the best when given with love and sincerity. If they will learn to bear testimony, the Holy Ghost will use their testimonies to touch countless investigators and they will truly be a successful missionary. Try this out and you will reap wonderful rewards from your efforts. See also, Bear Testimony Frequently, “Preach My Gospel”, Pages 198-199 and MIT Study Session #9. Missionaries have learned that some of their greatest teaching opportunities and contacts have come as a result from service given to the people – often even before they have been formally taught. There are a million ways to give service. Teach the children to always be looking for service to be given. Help them to realize that they don’t need to do the major service things – like spending three hours on a lawn project (though they may do some like that). Teach them that they can do even 5-minutes acts of service – like taking out someone’s garbage can – or bringing it in. Try to motivate the children to find some 5-minute type of service activities to do each and every day. And make service a part of every family prayer. Ask for service opportunities – and be ready to act upon impressions and opportunities to serve and soon this will become a very natural and rewarding thing for family members. This may not happen on the first attempt – but if they think of service every day and find opportunities on many days, they will begin to find more and more opportunities. Teach them of President Thomas S. Monson and how his whole life has been based upon service following quiet impressions. He has learned how to listen to the promptings as they come – and he testifies that the Lord has come to know and trust “Thomas S. Monson” as one who will go and do. As the children do service to their friends – and those who are not yet their friends, they will soon make more friends. And through service, they will soon be able to make other conversation and will be able to extend invitations to their new friends to come and join in on missionary preparation activities, to attend church, etc. In the MIT program, you are encouraged to schedule some “bigger” type service things – which the whole family can participate in. There is no set number, but it would be great if you could calendar a service activity together with your Friendshipping Families at least once every two months. It would be a great idea to invite non-members, less-actives, and others who need fellowshipping – to come and serve with you – at a common neighbor’s house, in the neighborhood, or even with the church group. If you do this, you will reap great benefits and you will later be very grateful for the times that you “reached out” and included others. We all know that missionaries have a weekly preparation day. This is the one day when they can clean their apartments, buy groceries, do the laundry, clean their rooms, write letters, visit cultural places, etc. Make the “P-Day” a part of your full home and family MTC program and you will be amazed. There is an Activity Package specifically titled “The Preparation Day Introduction”. This should be taught or held soon after you start using the MIT program. Then after that, it is recommended that you make every Saturday a “P-Day Activity” Day. Do the home basics each week and then jump into other activities that you have planned for the day (as if they are a part of the actual Preparation Day plan). In addition, The Missionary in Training Program includes a multitude of Missionary Preparation Activity packages and each package contains a plethora of sub-activities that center on the activity theme. These also are recommended for Saturday activity preparation days. You could do your regular routine of P-Day and then launch immediately into one of these activity packages. What this means is that you could make EVERY SATURDAY morning a missionary “P-day.” You know that if you tell the children that we are going to clean the bathroom, this will not be met with great enthusiasm. However, if they know that it is “Our Missionary “P-day” – and that fun stuff can be done after the work, they will be more anxious to participate and do their part. Make the P-day a regular routine. We get up, we exercise together. We have companion study. We clean our own room and then help with one other – with a sibling or alone – and then we go shopping, and then we do a sports or other fun event together. And the missionary preparation activities of “P-Day” can be things that you would probably be doing anyway – such as the laundry, going grocery shopping, etc. Perhaps you have been the one to always do the shopping – alone – and it takes a lot of your time. Now, look at shopping as a family P-day activity – combined with learning to plan menus and cooking – because they will need to do that as missionaries. Wow! Think of the results of such a concept! The children will go for it with enthusiasm and you will accomplish so much more than you ever thought possible. So what if they only get three rooms clean in the P-day cleaning. That is three more than you would probably ever get with the cleaning as an independent activity. And if they do three rooms together, that is three less rooms that you will have to clean yourself. And teach the children to do their own laundry as a part of each weekly P-day. Teach them how to do laundry and just expect that to be done – because it is part of the P-day routine. Teach that P-Day (or more properly, the “Preparation Day” is like a Saturday – where they prepare for the Sabbath. On the mission, the P-Day could fall on any day of the week but the missionary preparation activities of the day are still in preparation – preparation so that full missionary work can be accomplished on the other days. A good idea would be to pair older children with younger children to accomplish your tasks. Even laundry could be a “companion” activity – and would be a benefit since most children do not have enough soiled clothing (if washed weekly) to fill a full laundry load. So, a shared thing between companions would have multiple benefits. Note that there is one activity day program package that is centered on the real missionary “P-Day”. This activity is to introduce the MTC participants to the P-Day concept. It is to teach them the routines that should be a part of each future Saturday preparation day. So, it is recommended that you use this early on in your program – and that is why it is included in your first three months program. The sooner you get the children into the “P-Day” scene, the sooner you as the parent will reap the rewards. So, find the lesson study guide. Introduce the concept of the “P-day to the children. Talk about what kinds of missionary preparation activities missionaries typically do. Then tell them that after the weekly household chores are complete, then the whole family can go and do other fun missionary preparation activities as a part of the family “P-Day”. The next section will discuss MIT “Activity Days.” You will be encouraged to have frequent activity days – like every two months – or more frequently. Even on your calendared activity days and programs, you can still incorporate the P-day concept and combine the activity with the usual P-day routine. Just do the household stuff first and then proceed into the planned activity – rather then just randomly doing stuff. The activity day will give missionary focus and will encourage the children to get the house cleaning stuff done first so that they can do the missionary preparation activities. Activities as a family can be times to strengthen each other and to enjoy being together. They can be a fun way to learn new things and to practice skills learned in missionary study sessions. Activities can help to build or create strong family traditions and brotherhood among family members. There are many different activity program packages and you can choose which ones you work on and when. With each activity, there are some basic guidelines that will teach the principles of the activity – the “what and why”. And each package has a multitude of other FUN missionary preparation activities that can be done to learn further of the function or subject. Again, you will find that you can’t do them all. You will have to pick and choose. Another idea would be to choose an activity theme package and then kind of use the list of possible missionary preparation activities and do one or two of them every day. You could spend a week on each activity – or even a full month. Or you could do some of the missionary preparation activities now and then others a year from now when you do the activity again. After the children get into the action of your family missionary preparation activities together, they will really get into it. They will find that the missionary preparation activities are FUN and they will want to do more and more of them. They won’t want to quit after just a few of them. And who knows, they may want every Saturday – or every night to become an activity day. (And that could happen … you could do an activity from the selected theme each afternoon or evening as all of the family gets home in the evening – rather than TV or video games or whatever.) Do one or two at a time and they will be begging for more. Then you will be amazed at how much fun you really can have as a family. You’ll do things together that you have never done before. Altogether, you will find literally hundreds of missionary preparation activities that you can do together (and most of them don’t cost money). Wow! You’ll have such great times together. You will look back and say, “Wow” (again) and “Why have we not been doing these things together before. As with study sessions, and service functions, delegate out the planning and implementation of missionary preparation activities to your Ammonite children. Teach them how to plan and conduct an activity – and let them have full reign (almost) to stage the missionary preparation activities for their younger siblings. And think of the leadership experience this will give them. They are capable of taking the bull by the horns and going for it. If you give them basic training, guidelines, and parameters, you will see fabulous results as they soon “do it all” to make something happen – and to make it wonderful and fun. Wherever possible, delegate to and use your Ammonites. They will grow so much through the experience! And again, you will be truly amazed at their capabilities and results. In the MIT program materials, you will be trained to know that every activity you do can become a missionary opportunity. With each activity – no matter how large or small, ask yourselves, “Who do we know that we can invite to do this with us?” Most non-members, part-members, etc. will have a limited social group (unlike us “Mormons” who have so many built in ways to have friends – just through the structure and activities of the Church). They will welcome the opportunity to do things with you and your family. And as you look at the various missionary preparation activities, you will see that most of them are not really “church things”. The missionary preparation activities are fun things to do – but in this case, they are fun with a purpose – that of missionary preparation and training. And again, with your children, call the activity a “missionary activity” – or a “P-Day activity” – anything to tie it to being a missionary – now and in the future. And if you are upfront in the beginning about your home and family missionary training program with your friends, you can call your events “Another of our MIT missionary preparation activities” as you invite them to participate. They’ll soon equate the activity with fun and friends – and together you can enjoy what the program (and the Church) has to offer to you and to them. And like the above other elements of the MIT program, you will soon begin to reap wonderful and exciting blessings as you do the fun things together – as a family – and together with others. On missions, every missionary looks forward to zone conferences. These are the greatest of times as they hear from the Mission President, receive training – usually centered around a specific theme for the day – a set of scriptures, a gospel topic, a teaching method, fellowship together, sing with gusto, hear good talks, and of course, FOOD – and lots of it. So, that is what a Missionary in Training special conference is all about. It combines and uses all of those elements. Special conferences take some planning and extra effort but they will be very much worth it. Do all that you can to go all out to make them extra special. Have them at the home of grandparents, the Bishop, or at the Church – or on the Temple grounds – or some other cool place. But, they can be great even in your own home – if you take some advance effort to make them special and unique. Try to make the conferences different than the usual missionary preparation activities and study sessions. Invite special guests. Invite the home teachers, the Bishop, teachers, aunts and uncles and grandparents, returned missionaries, and others to participate with you. They will bring a wealth of experience – and they will have new and interesting experiences to share with your children. Delegate out the various program tasks to as many people as you can. Note that for almost every special conference, you should have the children wear missionary shirts and ties (or dresses for the girls) and their missionary name tags. Make these conferences more formal and your children will pack in the memories of their time in your Home and Family MTC. They will brag of these special times later to their missionary companions. You will want to make a family decision about when to be in full-dress missionary attire. You may decide that you want every study session to be in “full-dress” missionary attire. You may decide that you want to be dressed as missionaries for most missionary preparation activities, as well. You might want to decide that any time that you got out in public together (except for work projects and sports type events) that you want to be in full dress attire. Doing so will help the children feel and act like missionaries. 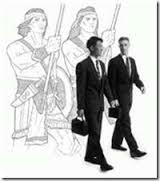 They will act better when they know that they are wearing the missionary badge and are supposed to be missionaries. You will enjoy seeing the eyes turn to your children when they look so wonderful. And you will have great missionary conversations as the children are seen as missionaries – rather than a bunch of rowdy kids. Don’t just smile and say, “Yeah, they do look great” but smile big and tell the “why” they are dressed this way. Talk about the MIT program, your home and family MTC, and the church – and your family’s plan of missionary preparation. This will give you a lead-in to explore other Church conversations and to perhaps invite them to your home and family study sessions, an activity, etc. You will be surprised at who might take you up on it and want to know more – just because of a white shirt, tie and a name tag. As noted, many missionary preparation activities can be done when in missionary attire with name tags. Look at each activity or function and determine together what missionary attire might be the most appropriate. They – the children – will develop a special sense of missionary and family pride as they all do it together. You might even want to have the children wear missionary attire to each home and family study session. This will really help them catch the vision of being a missionary – now and later. Ultimately, your family should determine together what the plan will be – and what the dress of the day is to be. Talk of this a few days ahead so that clothes can be ready as needed. This is a wonderful opportunity for teen boys AND girls who are preparing for missions. 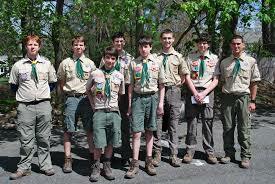 It is a week-long (five day) camp held at a retreat facility or camp of some kind. It is an intense missionary training program where youth receive missionary preparation training as they look, dress, act and LIVE as regular full-time missionaries. The course content is taken from the regular “Missionary in Training” program but is compacted tightly to be received in one week. Attending the camp will not diminish interest in your home missionary training program. On the contrary! Youth who attend the “Camp of Ammon” will come home super excited and charged with an intense desire to prepare even harder and better for their missionary experience. They will come home better able to serve in their role of “Ammonite Missionary Trainer” in service to younger siblings. Participation in “The Camp of Ammon” will be well worth the financial sacrifice it will cost for your participating youth. Youth can attend the camp year after year if you and they desire to do so. This is a very key element of the Missionary in Training program. You and your family will have great opportunities and also great joy as together you share the Gospel with others. It will be your blessing and opportunity to invite “Friendshipping Families” to participate with you in your Home and Family Missionary Training Center events, activities, service events, and special conferences as well as Church and community events. It will be more fun for your teens and they will get more out of the program if they are highly involved with you. They should not just be passive participants. They will have more fun and they will enjoy the program more if you use them for teaching, training, planning, preparation, bearing testimony, leading games, researching scriptures and talks from Church leaders, etc. The Ammonite program is designed specifically for Aaronic Priesthood Young Men and Young Women. There is a special training that parents should present to the Ammonites as you start with the program. Train them in what they can do and help them to “catch the vision” of how they might be involved and participate. Help them to realize that as they take on these tasks, they will help themselves and their siblings, they will learn a great deal through study and lesson preparation, and they will become familiar with and proficient in various leadership responsibilities. In the beginning, help them plan Missionary Study Sessions. Give them specific tasks within each session and then as they become more familiar with how to do their job, you can delegate to them and back off a bit to let them do it. There will be great benefits to the youth and parents if the youth will actively participate in the program and be given responsibility – AND freedom to act, organize and implement. The Ammonite Personal Retreat is a very exciting opportunity for your Ammonite. It will take some innovation to pull it off, but with some thought, you can make it happen. And when it does happen, it can become possibly one of the greatest experiences your youth can have. It can be a life-changing, highly motivating and spiritual time or event for them. This is a personal retreat where your teen son or daughter has time and focus to ponder life and what he/she should do with it. The concept is that the Ammonite goes to a place where he/she can be totally alone and where time can be spent thinking about their life, reading scriptures, praying, setting goals, and making commitments to Heavenly Father about their future – and hopefully, about their desire to serve a future mission. The innovation part is the question of where to send them? That is a good question. Where can you send a teenager where they can be secluded and safe for a few hours or a day? But, give it some thought and see what solutions present themselves. And it doesn’t have to be expensive, either. It could be as easy as a retreat to the woods near the family cabin, the hay loft at Grandpa’s farm, the back porch on a Saturday morning, under a big shade tree at the chapel or wherever.